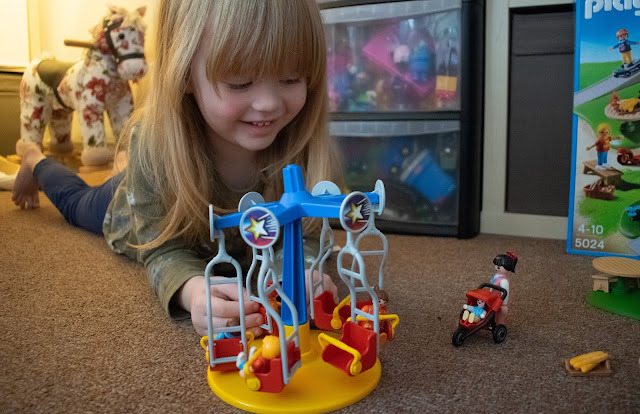 As soon as the set arrived, Emily was really excited to open it, she loved the fact that the playground had a big swing - just like the one she went on at the fairground. I did find it took us a little while to put together, just because we had to find all of the various pieces, and then Emily wanted to click it all together herself meaning it took longer than it normally would. 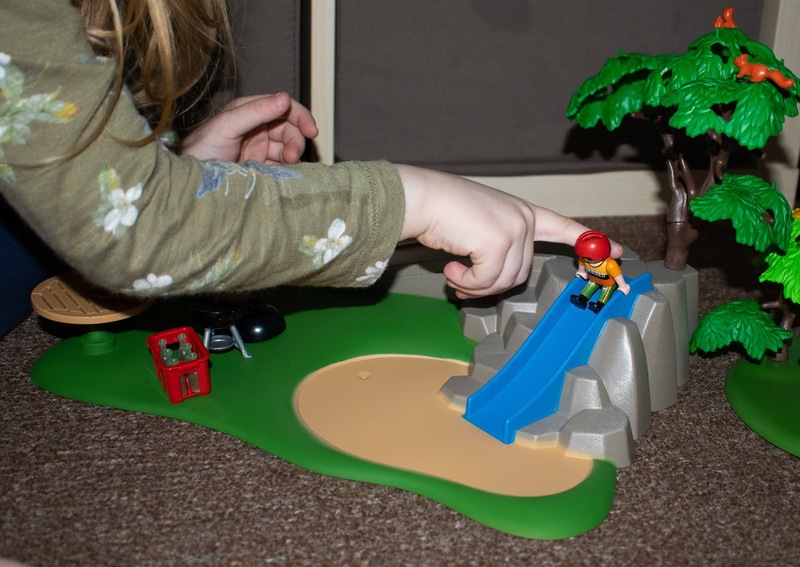 There aren't any words with the instructions making it really simple for children to follow along with, and Emily didn't need much help once she had figured out where all the pieces went. I was surprised by just how big of a set the children's playground is, and it does include quite a lot of accessories such as little squirrels and a butterfly which clip to the top of the trees. The playground is made up of a chair carousel, 2 slides, a swing, a seesaw, and a skateboard ramp. Not to mention the 9 figures it comes with including a baby and pushchair, as well as a BBQ and lots of food. We have decided to store the smaller items in a little click shut pot, just to keep them safe as we don't want Isabelle getting hold of the smaller items and losing them - as the set isn't recommended for any child under the age of 4. 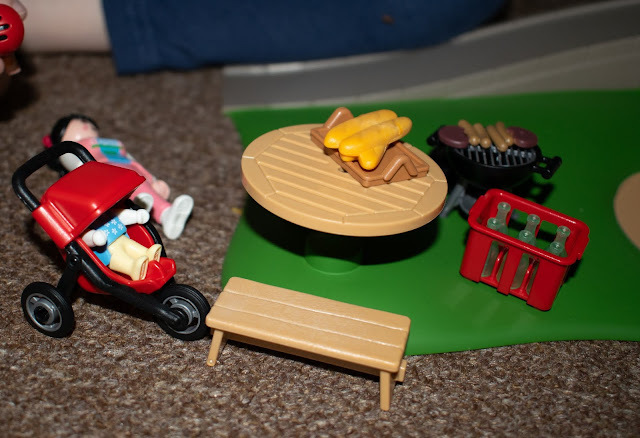 Emily loved that there were lots of little pieces which aided in her imaginative play, such as the BBQ food, and the fact there was a little bucket and spade to play with. She loved the chair carousel, and I thought it was a nice touch that there were enough people to cover each of the seats, meaning it was balanced out and she loved nothing more than spinning it around. Since it arrived just shy of a week ago, it has been the one toy Emily has constantly asked to get out and play with, she has even added Playmobil to her Christmas list, which means it must really be a big hit with her! 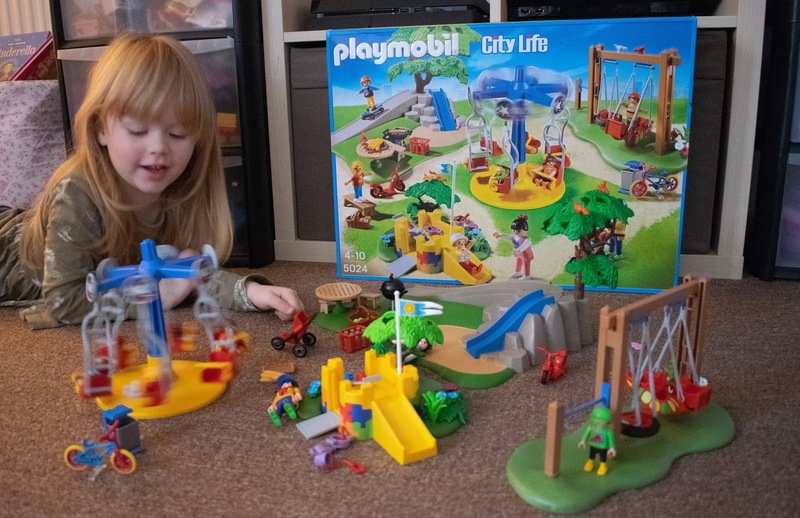 I love that the playset is big enough for a friend to play alongside her when she has a playdate. 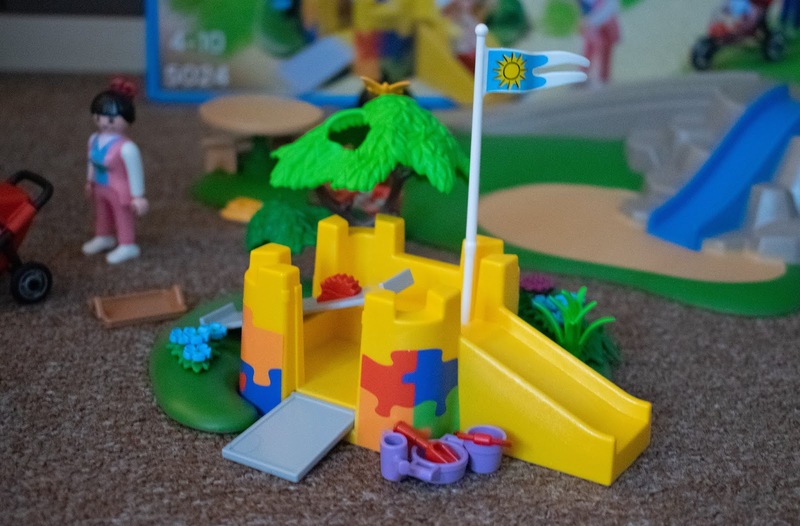 The Playmobil Children's playground is exclusive to Smyths toys, it would make the perfect Christmas gift for all children aged 4 years + (RRP £39.99). I also love that it doesn't require any batteries, you simply open the box, click it together and your good to go! 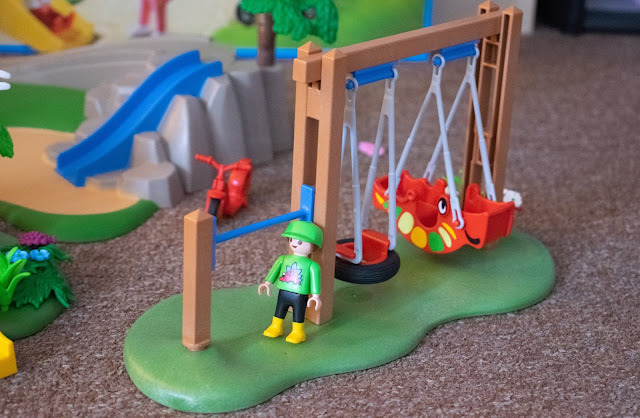 We were very kindly gifted the Playmobil Children's Playground in exchange for this review, however all opinions are my own.